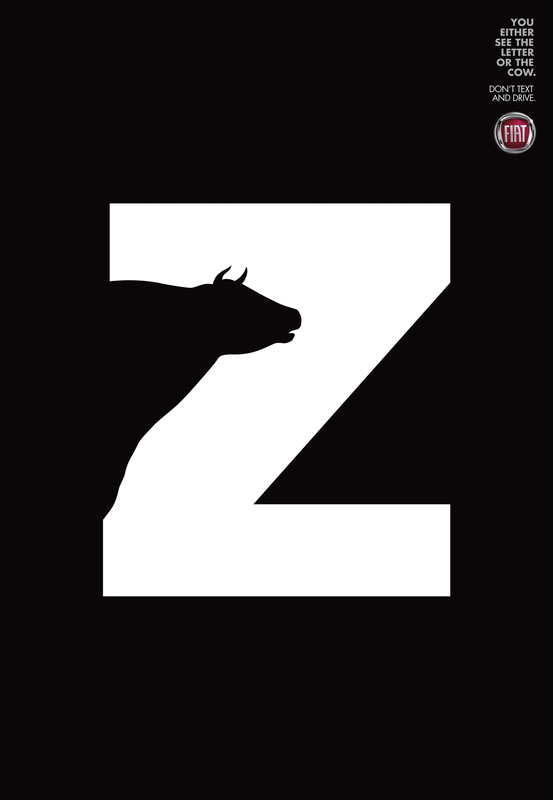 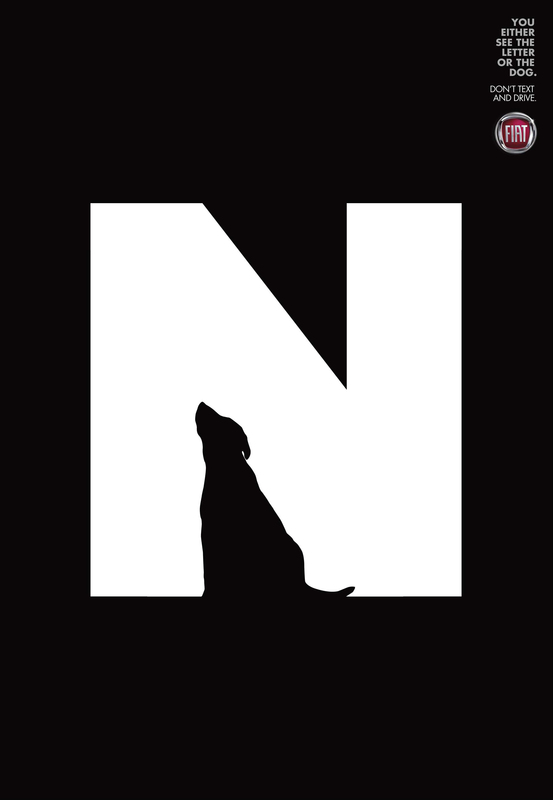 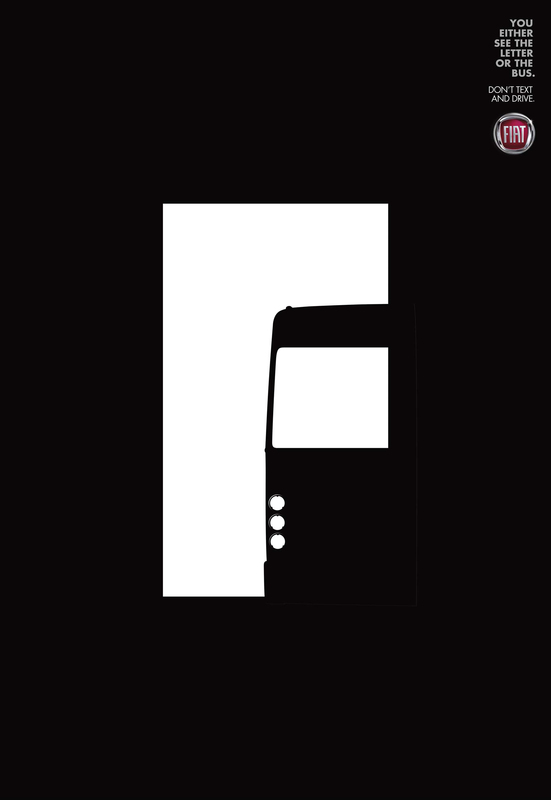 Fiat’s road safety work in Brazil has included Texting or Driving, a print and poster advertising campaign featuring the letters R (Girl), F (Bus), N (Dog), L (Truck) and Z (Cow). “You either see the letter or the bus. 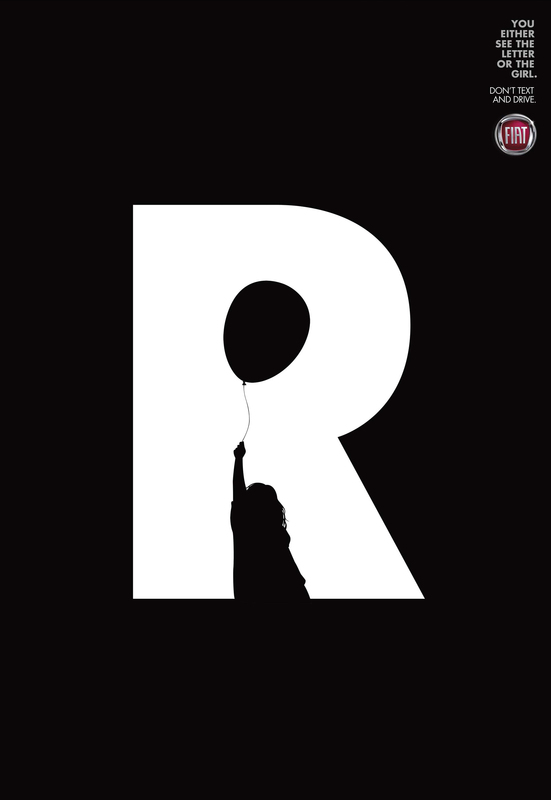 Don’t text and drive”. The campaign won Gold for Poster and Bronze for Art Direction in the Design category at the London International Awards. 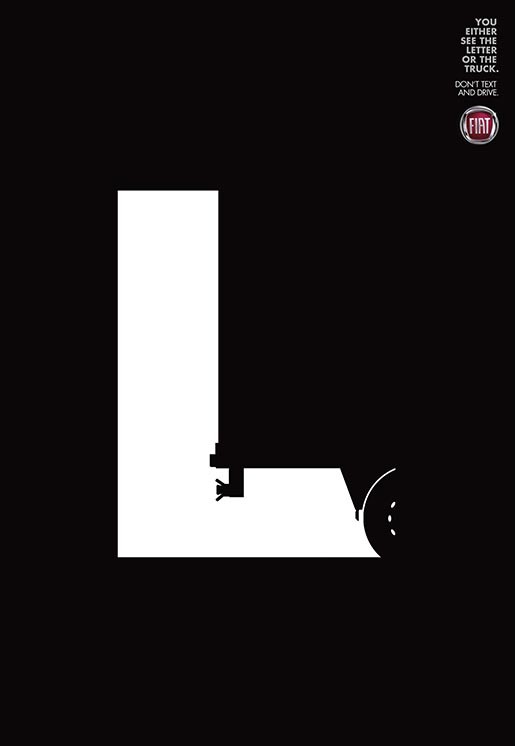 The Texting or Driving campaign was developed at Leo Burnett Tailor Made, São Paulo, by chief creative officer Marcelo Reis, executive creative director Guilherme Jahara, copywriters Marcelo Henriques and Paulo Henrique Gomes, art director/illustrator Tiago Valadão, account directors Pablo Arteaga, Cíntia Mourão, Daniela Ferreira, Guilherme Grigol and Eduardo Crepaldi working with Fiat marketing team C. Belini, Lélio Ramos, João Ciaco, Malú Antonio, Sarah Albuquerque and Caroline Magalhães.